Tech investor Craig Shapiro tweeted his “org chart for happiness”. On the work side he highlights “fulfillment”, which is in turn a function of productivity, recognition and giving. In other words doing worthwhile work that others appreciate, while also giving back to others, is Shapiro’s recommendation for happiness. Zappos CEP Tony Hsieh literally wrote the book on happiness in tech. 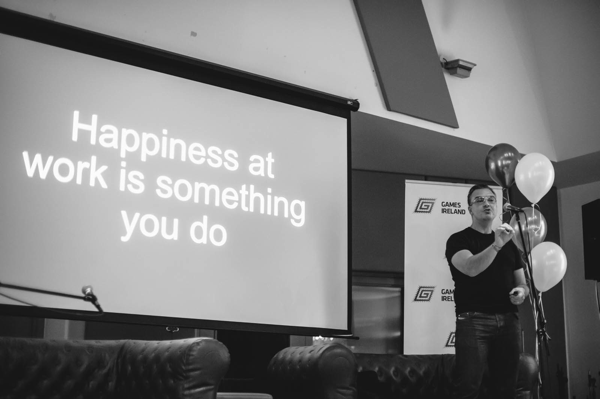 In Delivering Happiness he describes how he built the corporate culture at Zappos by valuing happiness. While Zappos operates some quirky policies eg new hires are offered $2,000 if they decide to quit after the first week, Hseih’s book also highlights the importance of things such as helping staff grow (both personally and professionally), ensuring customer service is everyone’s responsibility and building strong relationships with your team.